With each development in the Mueller investigation, I’ve been tracking which of Mueller’s 17 prosecutors show up on which dockets, as a way of understanding how little we know about the case. This post updates what we know given Friday’s events (I’ve also updated the numbering and am only counting someone actually named on a given docket, with the James Quarles exception since obstruction involving the White House may be the last or least likely to be docketed). Made this point on earlier thread(s), and while not wanting to beat it to a pulp: very often attorneys who get pegged as “appellate specialists” are more generally described as specialists in MOTIONS, before whatever level of court. 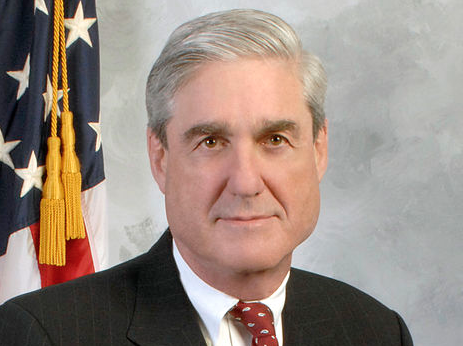 At the same time, if Fearless Leader is seeking to point in particular to the cred & rep members of Team Mueller have established at all levels of appeal courts, as well at their particular familiarity with the judges in those courts, I’d still agree that even ‘just’ those factors would justify their being brought on board. In civil law, there are all kinds of “specialists”. Chances are most of them don’t really know about actual trial courts and juries, even many so called “litigators”. Frankly, it is almost laughable. In criminal law, however, you either are mostly one or the other. You go to court and do substantive hearings and trials, or you don’t. If you don’t, you are an “appellate specialist”. That may still be for trial level motions and hearings, although usually the trial atty will lead that, but there is still a large role there for that. I have to do “appellate” work occasionally because there is truly an interlocutory issue, whether by writ in federal, or as this state level here calls it “special action”, but I don’t aspire to that in the least. Not all cases and clients can afford true “appellate counsel” on such intermediate issues though, nor are all such issues worth that. Mueller can expect that defense counsel in any US prosecutions coming out of his investigation will appeal everything, up to the Supreme Ct if they can get in. On some potential issues, that seems guaranteed. He would be remiss if he didn’t plan for that and have appellate counsel on his team from the get go. Yeah, this is why Michael Dreeben has been there from the start. This blog and Marcy have repeatedly pointed this out. And it is true. I honestly don’t think most people understand just how loaded for bear Mueller has been from the get go. It has all been there from nearly the start for those paying attention. This blog, thankfully, has. and a tip for the server jar today — those little hamsters running the server wheels must be pretty tired today! Someone remarked that the Mueller team is like the 1927 Yankees. Even though I hate the Yankees, the Murderers’ Row lineup of Combs, Koenig, Ruth, Gehrig, Meusel and Tony Lazzeri were all ball busters. Come October 2018, Don the Con balls will be hanging….. If we’re doing baseball analogies, I was thinking that part of the purpose of the Russian indictments was a brush back aimed at the Russians. What if the emails weren’t 702 collection. We know that one of our intelligence partners was far enough into their network to ex-filtrate video streams. Just letting them know that we have(had) them penetrated six ways from Sunday. Trump would do well to avoid analogies with the Black Sox. I would be very surprised if some of these do not intersect with Mueller’s shop, since background checks are most thorough and would be available to the OSC. Also, Jared “updated” his submission. Again. In addition, did anyone see how Jill Stein, PhD freaked out on the show today? She may have some explaining to do as well since it seems likely the Greens got some targeted help from the bots as well even if Jill says otherwise. Marcy had wondered the same thing this morning.